On November 24, The Washington Post published a story citing the anonymous group PropOrNot. The story accused the Russians of building a large propaganda operation that worked to defeat Hillary Clinton and elect “insurgent candidate” Donald Trump. It claimed a large number of alternative news websites are acting as Russian agents, dupes, and useful idiots. Voice of America is a propaganda service created by the CIA during the Cold War. In January, the Institute of Modern Russia and its Interpreter Mag teamed up with the CIA through Voice of America to combat “Kremlin disinformation and propaganda.” The Institute of Modern Russia maintains close relationships with many Russian opposition leaders. In 2011, The Guardian reported the US military was developing software that would allow it secretly manipulate social media sites by using fake online personas to influence internet conversations and spread pro-American propaganda. The effort to counter alternative websites is not limited to the United States. In September 2014, writes noted researcher and author Thierry Meyssan, the British government created the 77th Brigade, a unit established to counter foreign propaganda. 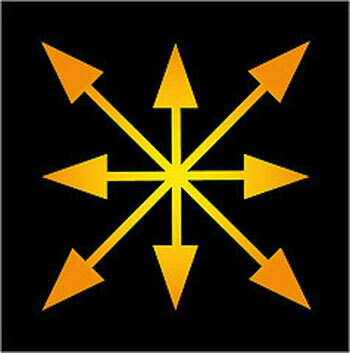 “The brigade will be made up of warriors who don’t just carry weapons, but who are also skilled in using social media such as Twitter and Facebook, and the dark arts of ‘psyops’—psychological operations,” the BBC reported last January. MI6 is also involved in a European effort to undermine Russian and alternative media. In March 2015, the European Council asked High Representative Federica Mogherini to prepare a plan of “strategic communication” to denounce the disinformation campaigns of Russia about Ukraine. The following month, Mogherini created within the European External Action Service a strategic information unit headed by Giles Portman, a British MI6 agent. It provides anti-Russian propaganda to European news services. Its advisory council includes Zbigniew Brzezinski (former national security advisor and virulent Russophobe), Eliot Cohen (Bush era neocon and former adviser to the secretary of state Condoleezza Rice), and Madeleine Albright (Clinton administration secretary of state who said killing 500,000 Iraqi children was “worth it”). Although PropOrNot strives to remain anonymous, it does reveal connections to Modern Russia and its Interpreter Mag and thus, through Voice of America, its association with the CIA. Interpreter Mag is listed under “Related Projects” on its website. PropOrNot also collaborates with Polygraph Fact-Check, a purported fact-checking website produced by Radio Free Europe/Radio Liberty and Voice of America, in other words, the CIA. Another so-called fact-checking operation is listed, Politifact. It is a project of the Tampa Bay Times and the Poynter Institute and shares a donor with the Clinton Foundation, the Omidyar Network, created by eBay founder Pierre Omidyar. He is a major donor of Kiev-based Hromadske TV, “the symbol of the info wars between Moscow and the Western world,” according to Forbes. The effort is also supported by the US State Department, a number of European governments, and NGOs involved in Ukraine prior to and after the US-sponsored coup. The alternative media has done an effective job of exposing the crimes of the elite and its political class and this news coverage did, in fact, have an impact on the election. Alternative media is a serious threat to the ruling elite. It no longer controls the flow of information and its propaganda is now directly challenged on a daily basis. 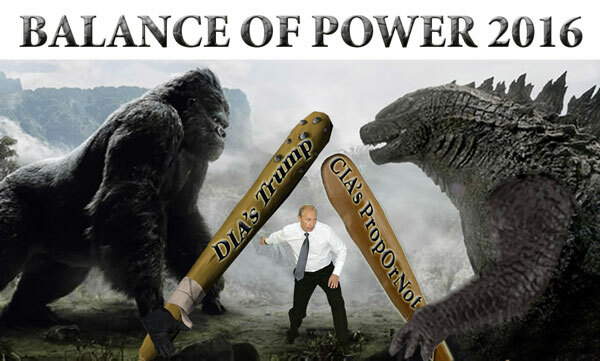 The Washington Post and the establishment media have latched on to the ludicrous PropOrNot campaign to denounce alternative media as some sort of nefarious Russian plot to undermine the political system in the United States. Despite this, millions of Americans continue to read the alternative news and make their own informed decisions, a trend that has set off alarm bells in the deepest recesses of the establishment. While a handful of state-funded sites are included on the list, both the Washington Post and PropOrNot have come under withering criticism for engaging in McCarthyism by including dozens of respected sites like Naked Capitalism, Truthout, Truthdig, Consortium News and, initially, CounterPunch, on the list. (CounterPunch has since been removed and Naked Capitalism’s lawyer has sent a scorching letter to the Washington Post demanding a retraction and an apology.) The widely read Paul Craig Roberts also landed on the blacklist. Roberts is a former Assistant Secretary of the U.S. Treasury for Economic Policy under President Ronald Reagan, a former Associate Editor of the Wall Street Journal and a former columnist at BusinessWeek. He held Top Secret clearance when he worked for the U.S. government. The flow of US intelligence to the Syrian army, and the downgrading of the quality of the arms being supplied to the rebels, came at a critical juncture. The Syrian army had suffered heavy losses in the spring of 2013 in fighting against Jabhat al-Nusra and other extremist groups as it failed to hold the provincial capital of Raqqa. Sporadic Syrian army and air-force raids continued in the area for months, with little success, until it was decided to withdraw from Raqqa and other hard to defend, lightly populated areas in the north and west and focus instead on consolidating the government’s hold on Damascus and the heavily populated areas linking the capital to Latakia in the north-east. But as the army gained in strength with the Joint Chiefs’ support, Saudi Arabia, Qatar and Turkey escalated their financing and arming of Jabhat al-Nusra and Islamic State, which by the end of 2013 had made enormous gains on both sides of the Syria/Iraq border. According to the Internet Archive known as the Wayback Machine, the Center for European Policy Analysis previously indicated it was an affiliate of the National Center for Policy Analysis (NCPA). We can see why they might want to remove that affiliation now that the Koch brothers have been exposed as funders of a very real network of interrelated websites and nonprofits. According to Desmog, NCPA has received millions of dollars in funding from right wing billionaires like the Koch brothers and their related trusts along with the Lynde and Harry Bradley Foundation, the Sarah Scaife Foundation (heir to the Mellon fortune) along with corporations like ExxonMobil. CEPA’s InfoWar Project is currently listed as a “Related Project” at PropOrNot’s website. Indeed, there are numerous references within the report issued by PropOrNot that sound a familiar refrain to Pomerantsev and/or CEPA. Both think the U.S. Congress is in denial on the rising dangers of Russian propaganda and want it to take more direct counter measures. Pages 31 and 32 of the PropOrNot report urge the American people to demand answers from the U.S. government about how much it knows about Russian propaganda. The report provides a detailed list of specific questions that should be asked. CounterPunch was quick to point out that the Washington Post’s former publisher, Philip Graham, supervised a disinformation network for the CIA during the Cold War, known as Mockingbird. Graham was reported to have died of a self-inflicted gunshot wound at his farm in 1963. Six days after Washington Post reporter Craig Timberg ran his first PropOrNot story, he published another article indicating that “Congressional negotiators on Wednesday approved an initiative to track and combat foreign propaganda amid growing concerns that Russian efforts to spread ‘fake news’ and disinformation threaten U.S. national security.” Quoted in the story was none other than the very Senator who had met with CEPA in May on that very topic, Senator Rob Portman. Portman is quoted as follows: “This propaganda and disinformation threat is real, it’s growing, and right now the U.S. government is asleep at the wheel.” Among Portman’s top three donors to his 2016 Senate race were Citigroup and Goldman Sachs, two Wall Street behemoths that would very much like to pivot the national debate to anything other than Wall Street power and corruption.